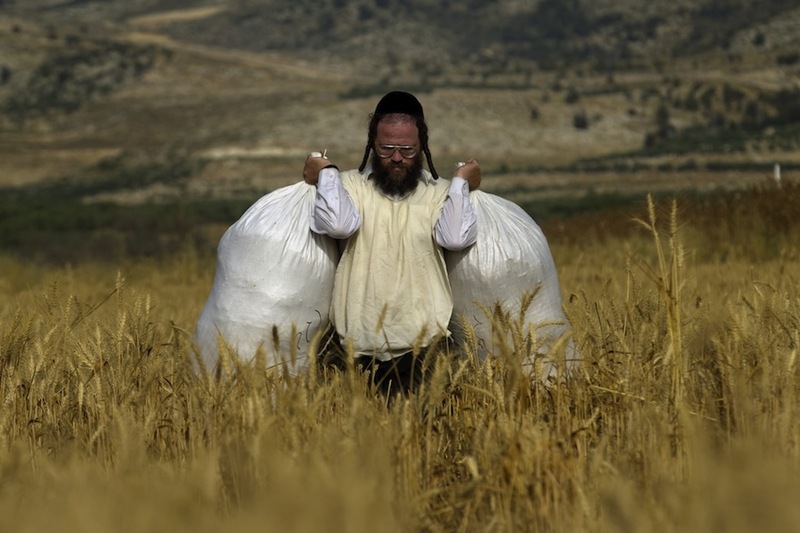 Shavuot is one of the three Pilgrim Festivals. And, as it is in the case of most Jewish festivities, Shavuot has as many interpretations as one may fancy to desire. 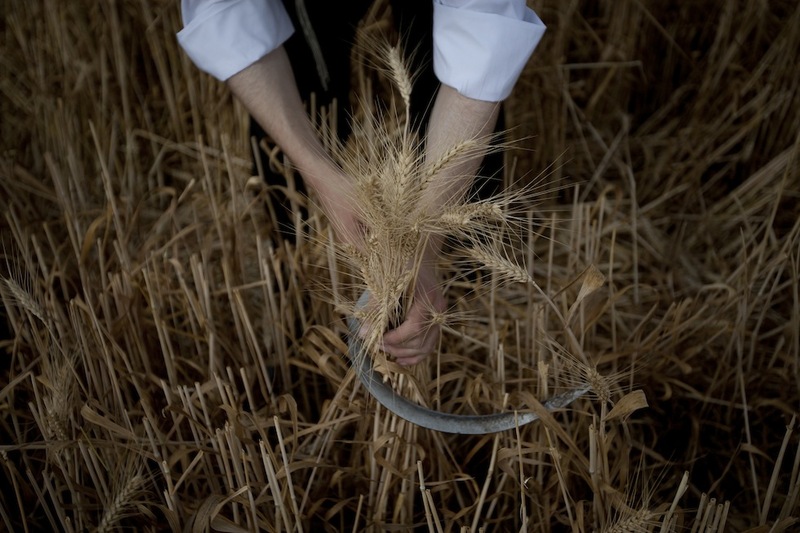 A celebration of harvesting, the memory of Moses receiving the Torah tables, and the conclusion of a seven weeks period — 49 days — after Passover. It’s not a mystery, I love Judaism, and sometimes I wish I had celebrated a Bar Mitzvah, as rite of passage to the adult life, rather than the meaningless Catholic ceremony of Confirmation. If I do not convert now — beside not believing in the existence of a deity — it is mainly for some dietary restrictions I do not feel I would be able to respect. However, among monotheistic credos, the faith of Abraham seems to be the most interesting, rich in interpretations and dense of traditions. This year 2012 (5772, yes! 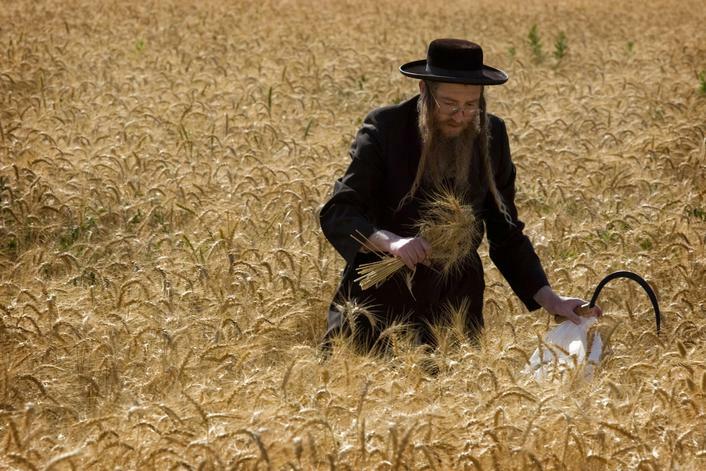 ), Shavuot is celebrated from the Sunset of May 26 until the nightfall of May 28. 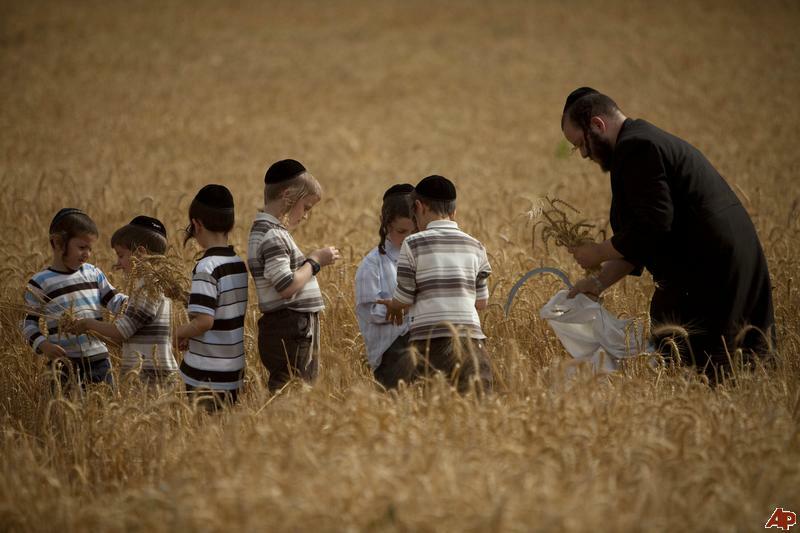 The pictures in this post were taken in preparation of Shavuot, in the Israeli settlement of Mevo Horon. However, mixed to them there are also some pictures of Palestinians harvesting, not far away from there. ← Are women more stupid than men?